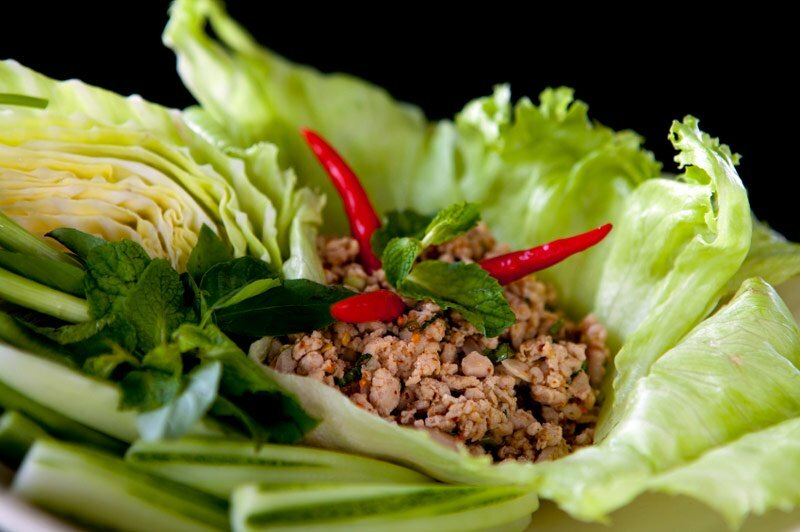 Chicken laab, sometimes “Larb” is a hearty appetiser and can be found in gourmet restaurants all the way to street vendors! 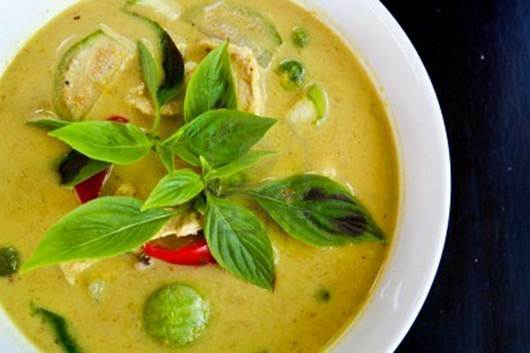 This Thai staple is a people pleaser! Cook chicken with a little water while stirring constantly until the chicken is cooked through without any pink. Set chicken aside to cool. In a large bowl combine chicken, fish sauce, white sugar, lime juice, ground roasted white sticky rice (khao Khua), green onions, coriander leaves, shallots, ground dried chilies and mint leaves. 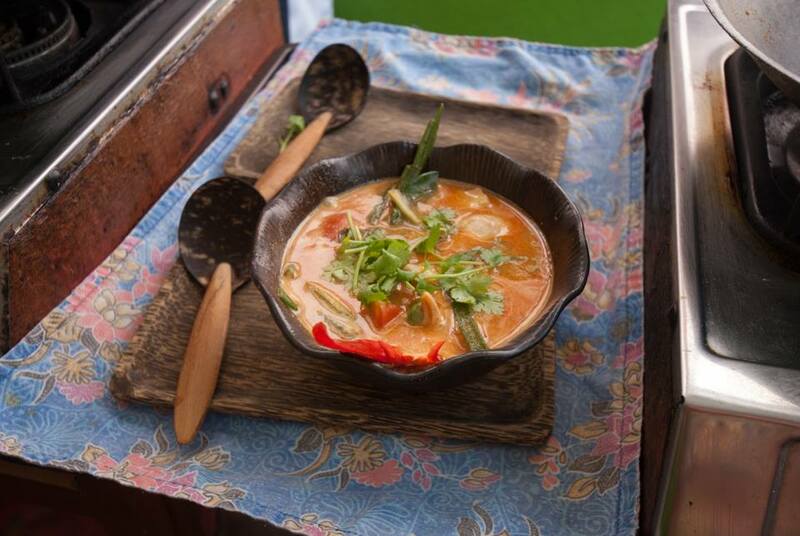 Mix well and serve with fresh vegetables and sticky rice. Add sweet basil. Remove from heat and serve with rice. 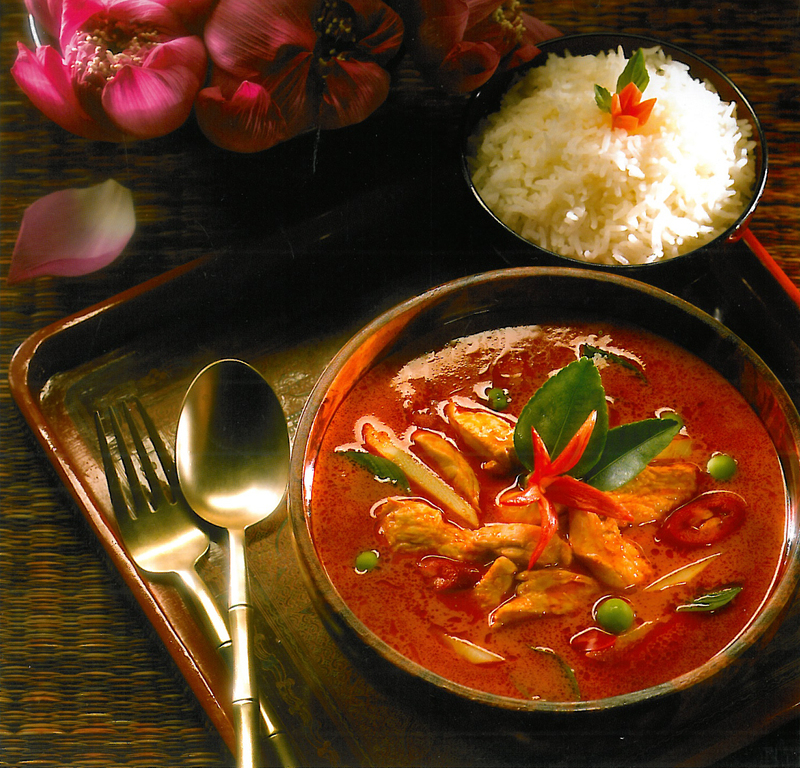 One of my favorite Thai dishes is red curry with chicken. I often use the store bought curry paste but home made curry paste is incomparable! Check out my blog post with curry pastes here! Add chicken. Pour coconut milk and stir constantly until the chicken is cooked thoroughly. Add kaffir lime leaves, finger ginger, sweet basil leaves and eggplants. Bring to a boil. Season to taste with fish sauce, tamarind paste and sugar. Reduce the sauce until thick. add shrimps fry until teh shrimp is cooked. add onions, green onion, Chinese broccoli, and tomato and stir until teh fresh vegetables are tender. 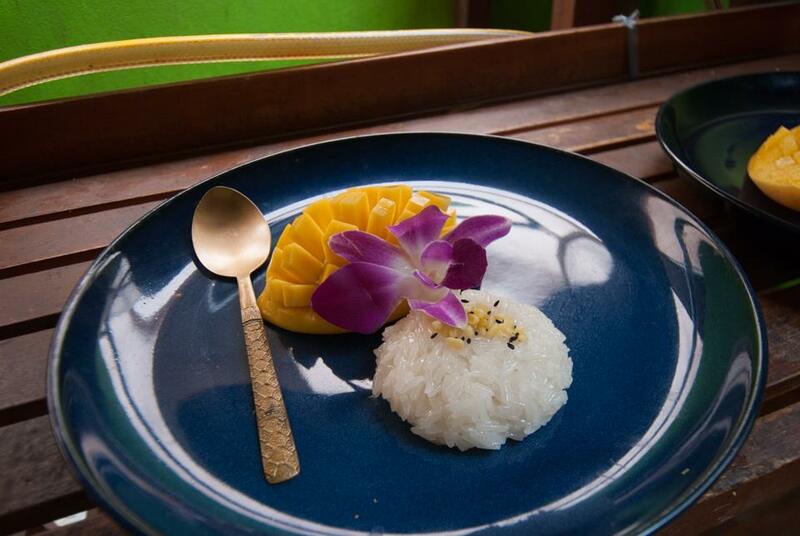 I swear to you that my husband and I must have eaten mango sticky rice at nearly every meal! It was just so fresh and so good! And why not?! Pour hot coconut milk over the hot sticky rice, mix together. Let it sit for 15-20 mins. The sticky rice will absorb all the coconut milk. The rice should be a little mushy. Serve warm on a platter with chilled mango topping with coconut cream and deep friend mung bean seeds. This entry was posted in Dishes & Desserts!, Food Recipes from Thailand, Travel and tagged chicken coconut milk, chicken laab, chicken larb, curry, dessert, fried rice, green curry, Green curry with chicken, kaeng ped gai, kang khiao wan gai, khao neaw ma muang, khao pad, laab, larb, mango sticky rice, recipe, recipes, red curry, red curry with chicken, silom, Silom cooking school, thai, thai food, tom kah gai. Bookmark the permalink.